When the Legislature reconvenes and the campaigns for governor heat up next year, Californians will be hearing a lot – and a lot of hot air – about universal health care. Making California the first state to guarantee health care for every resident has become a touchstone issue – and a divisive one – for the state’s dominant Democrats. The state Assembly will take up – or possibly ignore – a universal health care bill that the Senate passed this year. 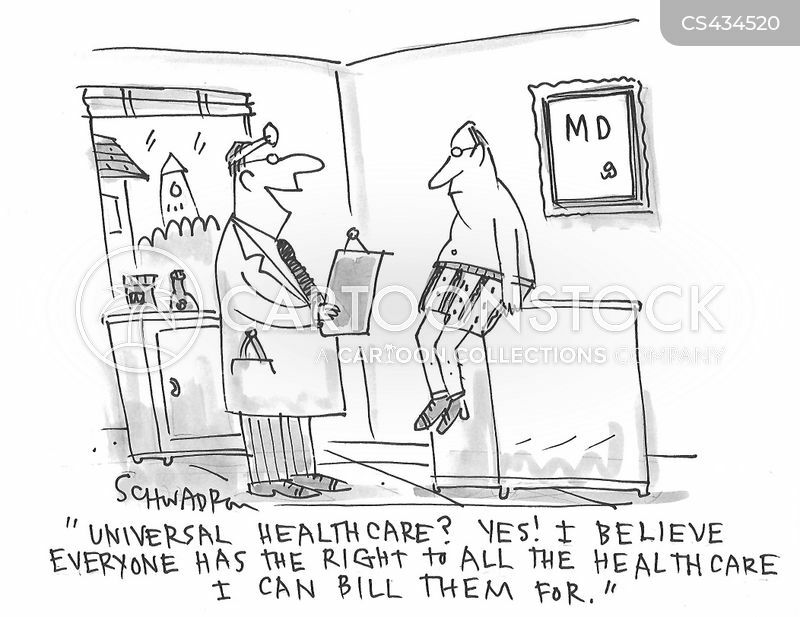 PASSING UNIVERSAL HEALTH CARE WITHOUT A SYSTEM OF PAYING FOR IT WOULD INVITE SCORN FROM THE MEDIA AND THE PUBLIC. BUT PASSING IT WITH IMMENSE NEW TAXES WOULD PUT DEMOCRATS IN POLITICAL JEOPARDY. That stance generated a torrent of personal invective from the measure’s advocates in the Democratic Party’s left – or Berniecrat – wing, driven by the California Nurses Association. There’s a similar divide among the Democratic candidates for governor, with Lt. Gov. Gavin Newsom the most insistent advocate of expanding coverage. Like Rendon, Newsom’s chief rivals, former Los Angeles Mayor Antonio Villaraigosa and Treasurer John Chiang, endorse universal health care in principle, but are leery about how it would be financed. A Senate Appropriations Committee analysis pegs costs of universal coverage at $400 billion a year, but suggests that half could be covered by redirection of existing federal, state and local government health care spending. It added that “about $200 billion in additional taxes would be needed to pay for the remainder,” but also noted that half or more of that burden could be offset by eliminating direct health care costs now borne by consumers and their employers. To put that in perspective, even $100 billion in new taxes would be the equivalent of a one-third increase in the $300 billion a year now levied by state and local governments. In theory – one advanced by advocates – the two-thirds “supermajorities” in the Legislature and the governor could levy new taxes of that magnitude. In practice, however, even if the supermajorities survive the recent spate of sexual harassment resignations and next year’s elections, there’s virtually no chance of such a vote. Rendon knows that passing universal health care without a system of paying for it would invite scorn from the media and the public, but passing it with immense new taxes would put some of his Democratic members in political jeopardy. If, however, Democrats are serious about having universal health care insurance there’s another, perhaps easier, way to do it. A new report from the federal government’s Centers for Disease Control says that with the advent of Obamacare, which expands the Medi-Cal program serving the poor and offers subsidies for others, California’s medically uninsured population has dropped from 17 percent in 2013 to 6.8 percent in 2017. That means that there are about 2.7 million Californians still lacking some form of medical coverage, although many, if not most, receive rudimentary, albeit uncompensated, care in charity clinics and hospital emergency rooms. As many as half of them would be eligible for government-paid or -subsidized care, and covering them is potentially doable under existing programs, according to Covered California, the state’s Obamacare implementation agency. The remainder, mostly, are maybe a million-plus undocumented immigrant adults who are, by law, ineligible. It’s not necessary for the state to seize control of California’s entire medical care system if the real bottom line goal is covering those undocumented immigrants. It could be done for about $10 billion a year, which is a lot less than $100 billion. However, advocates would have to publicly acknowledge that covering them is what this conflict is all about and take whatever political heat it generates. It’s a test of whether universal coverage is a real goal, or merely political symbolism. With the turmoil and chaos caused by the ceaseless efforts of Congress and the Trump administration to shred the Affordable Care Act, shouldn’t our legislators show more urgency to provide health security for Californians? On Monday, an Assembly select committee will hold its first hearing “to determine the best and quickest path forward toward universal health care,” in the words of Assembly Speaker Anthony Rendon. However, the committee has no authority to act on legislation. It is essentially a discussion group designed to give the appearance of moving forward on reform, rather than act on an existing bill, Senate Bill 562, which would guarantee health care for all Californians without huge out-of pocket costs hurting so many. A legislative study has already concluded that a Medicare for all/single-payer approach, as SB 562 advances, is superior to all other models of health care financing. Further, a study released in June documented the bill’s additional cost to the state budget is closer to $100 billion, not the misleading $400 billion cited by opponents. The study also offered financing proposals under which nearly all families and businesses would pay less for health care than they do now. It is also troubling that select committee co-chairmen Jim Wood, a Healdsburg Democrat, and Joaquin Arambula, a Fresno Democrat, are the two of the three largest Assembly recipients of campaign contributions from the health care and insurance industries. Unlike the powerless committee, SB 562 has the enormous advantage of having already passed the state Senate in June. The Assembly can take it up immediately early next year with any amendments members want to propose. Further delays leave Californians at the mercy of the Trump administration. Consider the latest executive orders to encourage the sale of insurance plans that evade the extensive protections established by California legislators, and to cancel subsidy payments to insurers to sabotage the ACA marketplaces. Premiums in California for “silver” plans, by far the most common under Covered California, are going up by 25 percent on average. Anthem Blue Cross rates are jumping by 37 percent, and it is pulling out of about half of California counties. The specific impact on individuals and families varies depending on where you live, your income, how much coverage you want, and who your current insurer is. Or you may need to shop around for a non-silver plan – all with differing levels of coverage, deductibles and co-pays and that may or may not include your doctor, hospital, or other providers in its network. Or Congress may or may not pass supplemental legislation to reverse Trump’s orders, which he may or may not support, with its own set of uncertain impacts. Everyone clear? There’s a fix that would end Californians’ anxiety over their health coverage and cost, and establish protection for all. The people are ready. Earlier this month, nearly 1,000 activists attended 100 events in all 80 Assembly districts to talk to their neighbors about SB 562, and 10,000 people signed petitions urging its approval. Concord resident Emily Chandler was among them. She told us she pays $800 a month for insurance but sometimes avoids going to the hospital because she can’t afford the co-pays and deductibles. She is one of 15 million Californians who, even under the ACA, are without coverage or who don’t get the care they need due to rising costs. Californians don’t need a committee that can do little more than talk. They need real relief, SB 562. The two leading Democrats for California governor on Sunday split over how to achieve universal health care, with Lt. Gov. Gavin Newsom defending his support for a government-run, single-payer system and former Los Angeles Mayor Antonio Villaraigosa dismissing as “pie in the sky” plans that don’t include viable financing methods. At a union-sponsored health care forum, Villaraigosa credited the Assembly speaker for sidetracking a universal health bill, Senate Bill 562, in Sacramento, because it didn’t include a funding mechanism. He supports the concept, but argued the state’s immediate focus should be on protecting the 5 million people who could lose their coverage if Republicans and President Donald Trump succeed in repealing Obamacare. “As governor, you gotta make the tough choices, you can’t just say ‘I want pie in the sky,’ because that doesn’t put food on people’s tables,” he said, advocating for a public option that allows people to buy into the existing Medi-Cal program. Newsom, a proponent of advancing the bill, cast the issue as one of leadership and commitment. He contended there is considerable “mythology” about the $400 billion annual price tag of enacting the system because the state currently spends about $368 billion a year on health care in California, nearly two-thirds of it borne by taxpayers. “A single-payer system drives down the cost of health care; drives down the cost of prescription drugs through economies of scale; and provides more effective, efficient and universal access for those that are uninsured,” Newsom said, pointing to double-digit increases in Obamacare here. He said the financing will be worked out as the legislative process moves forward. The exchange between Newsom and Villaraigosa came at the forum hosted by the National Union of Healthcare Workers, which also included Democrats Delaine Eastin, a former state school’s chief, and Treasurer John Chiang. Chiang largely sidestepped the debate over universal care, offering that the state should take an incremental approach to health care. He wants to see more “effectiveness and efficiency” in the current system. Eastin, like Newsom, believes single-payer would cost “slightly more” now but far less in the long run. “The fact of the matter is people are dying in California because we do not have affordable health care coverage for everybody,” she said, calling the solution “realistic,” and saying it could be paid for with a gross receipts tax and a partial income tax increase. The single-payer measure, driven largely by the California Nurses Association, has divided Democrats and is emerging as a litmus test for 2018. Newsom, endorsed by the nurses’ union, has never trailed in public polls and fundraising, while Villaraigosa has been the second-place Democrat. The Republicans in the race, John Cox and Travis Allen, did not attend the forum, though the host National Union of Healthcare Workers, representing 14,000 workers in California, said they were invited. After Sunday’s forum, the union voted to endorse Newsom. Eastin was runner-up. As the nation’s Republican leaders huddle to reconsider their plans to “repeal and replace” the nation’s health law, advocates for universal health coverage press on in California, armed with renewed political will and a new set of proposals. Organized labor and two lawmakers are leading the charge for a single, government-financed program for everyone in the state. Another legislator wants to create a commission that would weigh the best options for a system to cover everyone. And Democratic Lt. Gov. Gavin Newsom, who hopes to become the next governor, has suggested building on employer-based health care to plug holes in existing coverage. The proposals are fueled both by a fear of losing gains under the Affordable Care Act and a sense that the law doesn’t go far enough toward covering everyone and cutting costs. But heath policy experts say that creating any type of universal health plan would face enormous political and fiscal challenges — and that if it happens at all, it could take years. The most specific California proposal comes from state Sens. Ricardo Lara (D-Bell Gardens) and Toni Atkins (D-San Diego), co-authors of legislation that would take steps toward creating one publicly financed “single-payer” program. The bill, co-sponsored by the California Nurses Association, would aim for something like a system of “Medicare for all” in which the government, not insurers, provides payments and sets coverage rules. The bill’s authors haven’t announced how the program would be funded. And that’s where the biggest obstacle lies, said Oberlander: It would largely uproot California’s present system, in which roughly half of coverage is sponsored by employers. There’s no way to make up for those lost employer contributions other than to introduce “very visible taxes,” Oberlander said. And that’s not the only reason why a single payer plan would be controversial. “A lot of people are satisfied with what they have,” he said.